Nelson Mandela (18 July 1914 – 5 December 2013) achieved much during his lifetime but he was most well-known for his unwavering stand against apartheid in South Africa during an era when apartheid was the legal norm in his country. 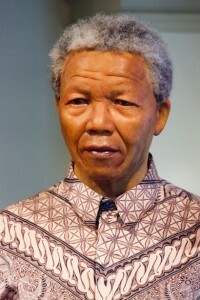 For his anti-apartheid activism against the government of the day, Mandela was sentenced to life imprisonment in 1962 but obtained release in 1990 mainly due to international pressure. While in prison, Mandela drew inspiration from a poem titled, “Invictus”, that had been written almost 100 years before his prison term began. Though the world knew him as Nelson, the most famous Nelson in history (arguably, besides Admiral Horatio Nelson) had a real name that was too complicated for many of us to spell or pronounce. Perhaps his first teacher Ms Mdingane who gave him the moniker, thought that “Nelson” not only sounded more English and hence more socially advantageous, but it was also prophetic of his future greatness (“Nelson” or “son of Nell/Neal” means “son of a champion”), in contrast to his birth name, Rolihlahla Dalibhunga, meaning “pulling a tree’s branch” or “troublemaker”. Mandela was a modest leader, the antithesis of the rock-star leadership style that so many, especially Americans, are familiar with today. Instead of claiming personal glory, Mandela was gracious enough to acknowledge the support and contribution of others, even if the “others” were prisoners rather than princes. He looked beyond their imprisoned state and discerned their true essence. Sentenced to hard labour in Robben Island from 1968 to 1982, Mandela had to break rocks into gravel while his own spirit was far from broken. And instead of harbouring bitterness, Mandela pursued betterment during his detention years by completing a degree in law, besides leading his followers from behind and organizing protests against apartheid. Though Mandela was imprisoned in body, his mind was freer than many who walked outside freely. Like many global statesmen, his life was not without controversy. He had been denounced for his Marxist and terrorist ties but won global acclaim for his activism, most notably the 1993 Nobel Peace Prize. Mandela himself was the first to admit his own shortcomings as an imperfect person and leader. The first black South African president who made the world pay attention to its anti-apartheid struggle has now departed, but the nation to which he imparted the spirit of non-discrimination and unity continues to thrive as a newly industrialized country with the largest and most developed economy in Africa, and the 28th largest in the world. Above all, Mandela taught us that the human spirit cannot be shackled by chains of iron, only the chains of one’s own making. Rest in peace, Tata Madiba! South Africa is synonymous with Mandela and the lasting legacy he left for the world to learn from. To gain firsthand insights into Mandela’s life and leadership, you should visit the Apartheid Museum in Johannesburg, the famous Mandela House in Soweto where he once lived, as well as the man-made prisons that tried but failed to suppress Mandela’s indomitable spirit – Constitution Hill (Johannesburg) and Robben Island (Cape Town).